Baby showers have long been thought to be a girls only kind of party, and a way to pamper the momma-to-be! 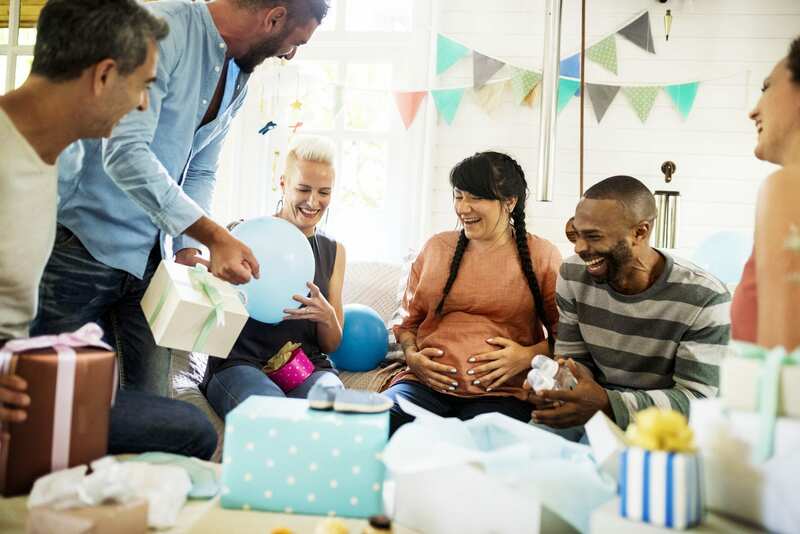 But more and more people are choosing an alternative option and hosting a co-ed baby shower as a way to involve the dad-to-be and blending both male and female friends and family. If you are intrigued by this new way of hosting a baby shower, keep reading to find out if this is something you would be interested in. So, you may be asking yourself, what exactly are the benefits of a co-ed baby shower? What makes these better than a girls only shower? Here are some of the reasons a co-ed baby shower may be something you would want to consider. 1. The More the Merrier! Many mom’s-to-be feel like the more the merrier when it comes to showering their baby with love! A baby shower is a time to celebrate the mom-to-be and her baby, and for some, the more loved ones present, the better! If you like the idea of having all of your friends and family involved, them a co-ed baby shower may be the way to go. Depending on what type of shower you are hosting, a baby shower can take a ton of prep work! Between setting up, hosting, and then cleaning up, it can be a lot of work. Having a co-ed baby shower means that the dad-to-be can help out, and hey, he may even have a good idea when it comes to a theme and gift ideas that the momma-to-be may really enjoy. For some moms, being the center of attention can be uncomfortable. When you have your partner there, you can share the spotlight, and have your partner there for support. If you have more than one kiddo, then you can share the special day with your other kids as well. This can be a great time for big brother to get in on the fun and celebrate this special time. While a co-ed shower may seem like a great idea for a lot of expecting mom’s and dad’s, they certainly are not for everyone. Here are some reasons why you may not want to throw a co-ed shower. Your mom-to-be prefers a small and intimate gathering of only her closest girlfriends and female family members. You want to spoil the expecting mom with a spa-like baby shower experience. You may have to go easier on the all pink décor to cater to all members attending the party. You may have to rethink party favors to make them both male and female friendly. It may cause more drama with all friends and family present! So, there you have it, the pros and the cons of a co-ed baby shower. They are definitely becoming more popular and mainstream, but they aren’t for everyone and some moms like the idea of sticking to the traditional girls only shower while others like the idea of mixing things up and getting everyone involved. How about you, would you or have you ever had a co-ed baby shower? If so, here are some co-ed baby shower theme ideas to help get you inspired. Holiday themed-this would be dependent on the month you are hosting the shower. Either way you decide to go, enjoy the party as a chance to celebrate baby and collect much-needed items for your new little one.